Gov. 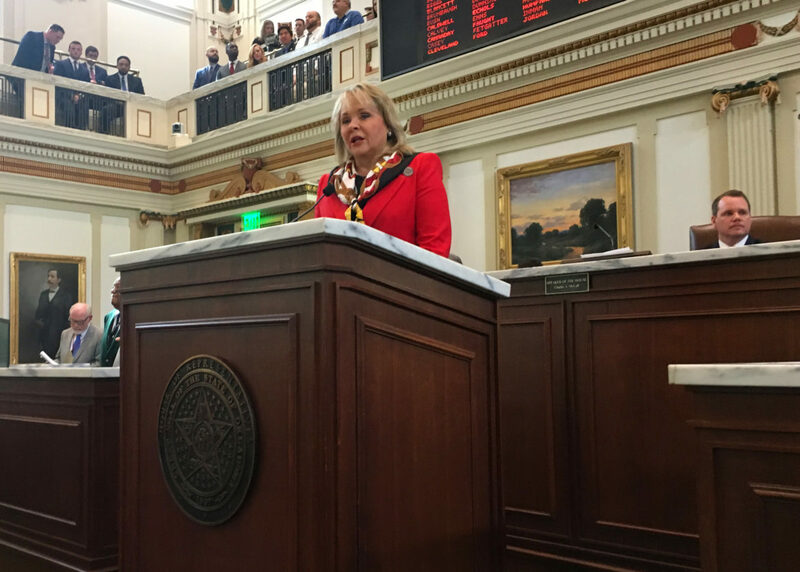 Mary Fallin delivers her 'State of the State' address to a joint session of the Oklahoma House and Senate on Monday. In her seventh “State of the State” address on Monday, Gov. Mary Fallin called for eliminating the corporate income tax and the sales tax on food, while endorsing a teacher pay raise and hiking cigarette and gasoline taxes. She proposed an appropriated 2018 budget of $7.8 billion, representing a 6 percent increase over the current year. All but 11 agencies would see no increase. Among the departments with a proposed bump: Health Care Authority, 11 percent; Mental Health, 9 percent; Transportation, 18 percent; Education, 5 percent; Public Safety, 15 percent, and Corrections, 2 percent. The version below is annotated by Oklahoma Watch writers to provide context and analysis. This is the written address, with some changes to reflect what was actually spoken. The speech was delivered in the House chamber in a joint session of House and Senate members, and as is the tradition, was attended by agency heads and state Supreme Court and appeals courts justices. The galleries were packed with visitors, media, lobbyists and members of Fallin’s family. Click on a section highlighted in yellow to read the annotation.